Learn which common ITIL myths are sabotaging your processes and making it tougher to deliver superior IT services. When done right, ITIL improves IT service delivery, while reducing the costs of delivering those services—whether that’s in dollars, resources, or time. 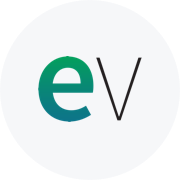 In short, IT organizations can run more efficiently while providing the levels of service that end users demand in an “always on” world. 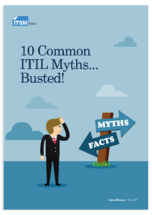 Unfortunately, there are a number of prevailing ITIL myths that just won’t go away! This complimentary ITSM.tools ebook exposes the top ITIL misconceptions and replaces them with truths that make it easy to deliver elegant end user services. Download this free ebook to test your knowledge on what’s ITIL fact and what’s fiction, plus pick up some proven tips for process improvements.